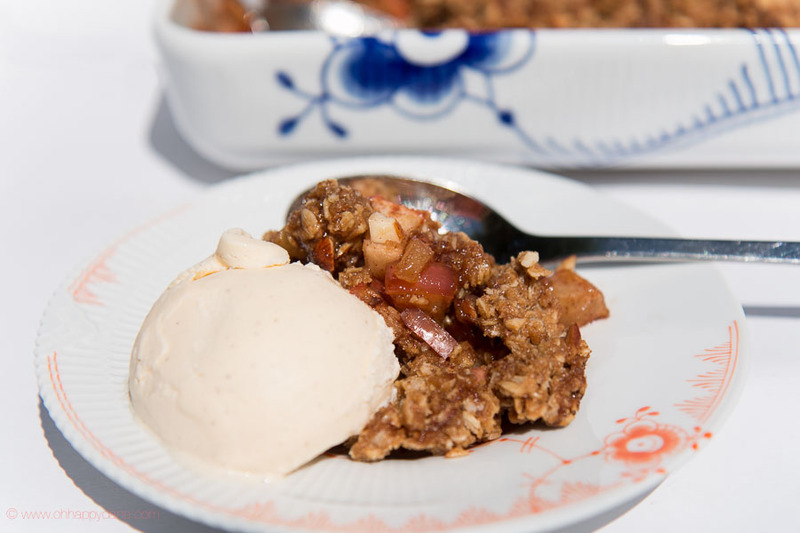 Uhm, I love a fresh made, warm Crumble Cake with Apples and Cinnamon, served with an ice cold scoop of Vanilla Ice Cream! It’s the best dessert in the world!! 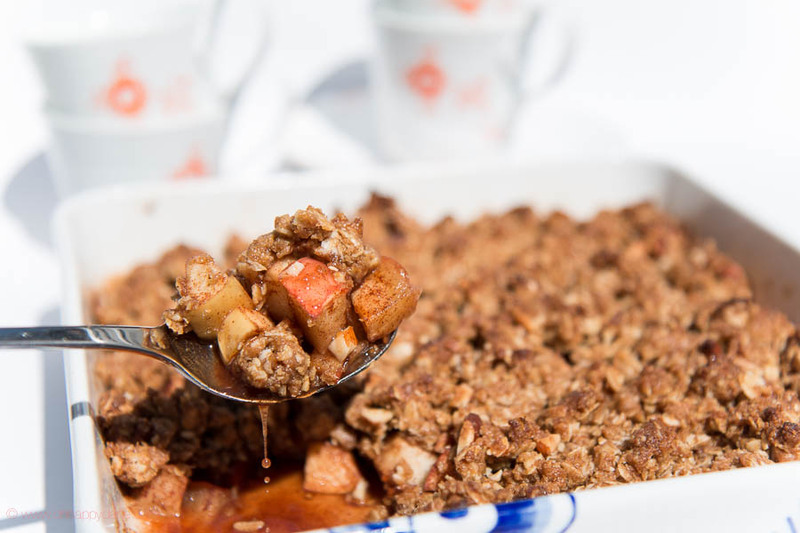 I combine the filling in a tons of ways, but this is the most classic way to serve the crumble cake – but actually you can use all kind of fruit (fresh or frozen) like pears, rhubarb, plums, gooseberries, strawberries etc – or even combine them!! 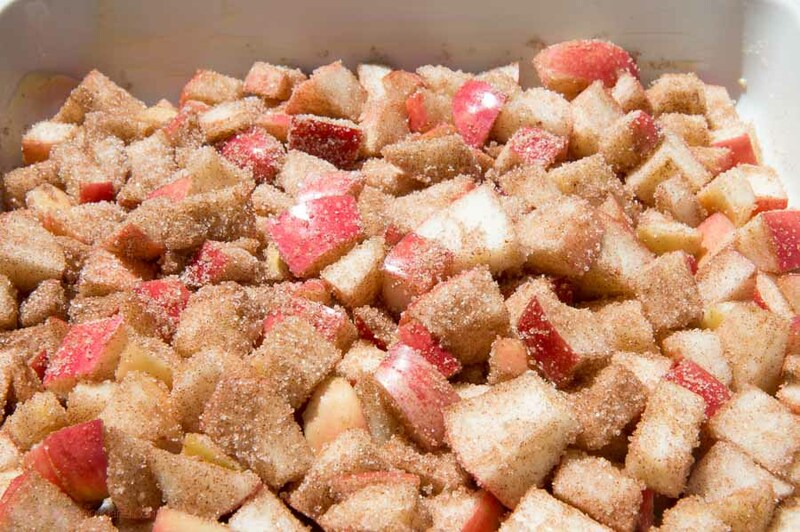 Cut the apples in small pieces and mix with vanilla sugar, cinnamon and dark brown sugar. Pour into a oven proof tray (10 in x 10 in) or use a foil pan if you bake it on your Weber Grill. 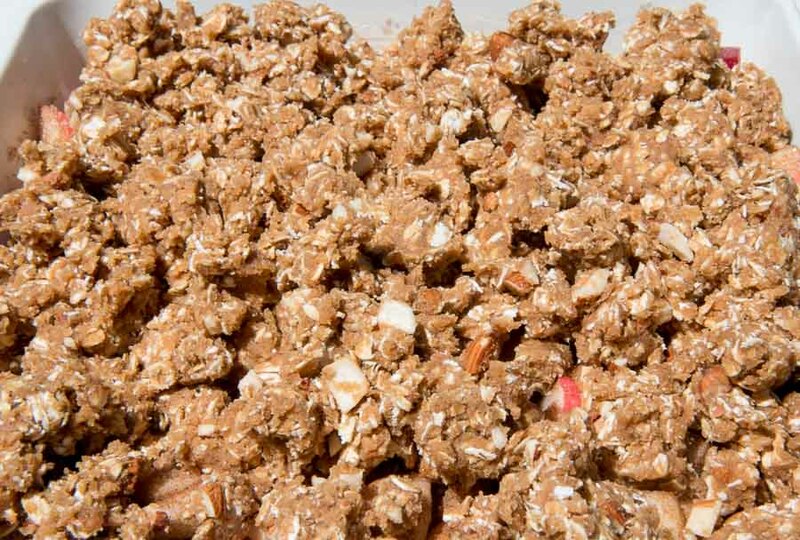 Mix cold butter with oats, flour and roughly chopped almonds. Add the topping and bake the cake at 400° F for about 25-30 minutes.